My One of a Kind Sketch from Camilla d'Errico! 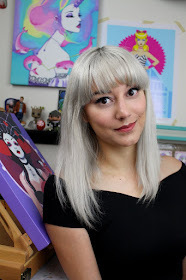 Coloring Contest Collab with Camilla d'Errico! 1000 Fan Celebration and Art NuVogue Gag Reel!